​There's nothing better than a nice warm fire on a cold day. In addition to keeping you warm, an efficient wood-burning stove or fireplace is also a great way to save on your power bills during the cold, dark winter. And nothing makes using your stove or fireplace easier than properly seasoned firewood. 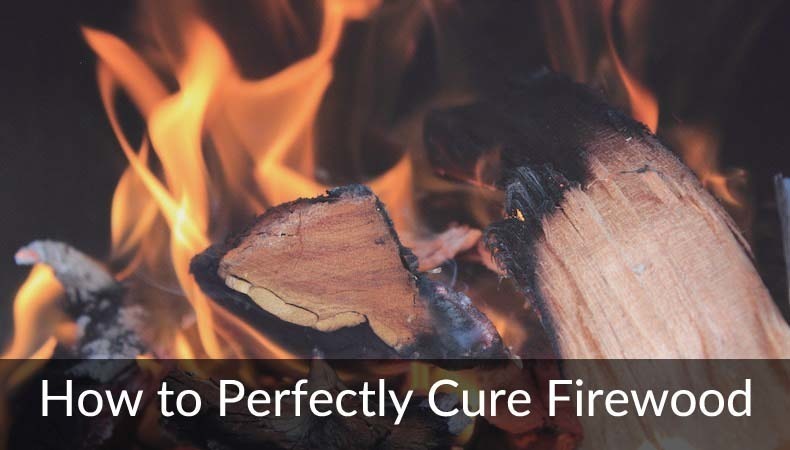 We're going to take you through every step of the process for getting perfectly cured wood. In order to burn optimally your firewood should be seasoned (also called dried or cured) until the moisture content is below 20%. Yes you can burn wood that has a higher moisture content, but it will be harder to light and your stove or furnace will not perform anywhere near its potential. Because so much of the energy from the fire is being used to burn off residual moisture the fire won't burn as hot. This mean tars and other compounds won't completely burn and end up getting trapped in the stove, your chimney, and other components. This INCREASES the number of times you'll need to have your system serviced. ​Besides the obvious benefits of being easier to light and burning cleaner, ensuring your wood is dried properly reduces the likelihood of mold growth. Properly stacked wood allows for enough air flow to keep your wood dry even in climates with higher humidity. cut the wood 3-4 inches shorter than the width of your fireplace. This makes adding logs a snap. make sure the pieces are less than 6" or so ​in width. Lots of surface area helps accelerate drying. Once you've finished cutting your wood it's time to start stacking it. There are several ways of doing this, but one of the most effective methods I've found is a square stack. This ensures good air flow throughout the entire stack which means the logs on bottom will cure just as well as those on top. ​I've found this method to work extremely well even in the high humidity of our Oregon spring and fall. I typically begin cutting and stacking in the early spring. Then the wood can cure for most of the summer. Once fall rolls around I'll move the wood to a dryer location for storage through the fall and winter. If you don't have a location in which to store your wood once it's dried, just cover it with a waterproof tarp. ​This only applies to wood that has been seasoned. Covering fresh wood will only slow down the curing process. ​For many people the time savings of buying pre-cut and cured wood is too good to pass up. Here are a few prices as of November 2018 that I found by taking a quick look on Craigslist. 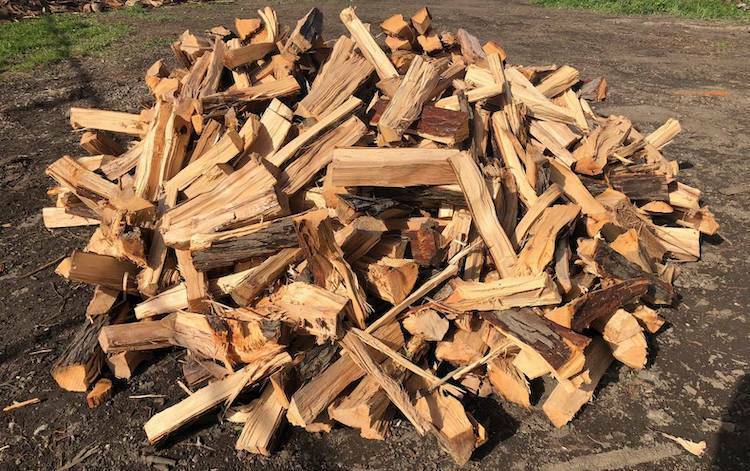 If you're going to buy pre-seasoned firewood from a local dealer there are a few things you can do to make sure it's been properly dried. Color - this is one of the easiest things for most people to check. As wood dries it should change in color from a light cream to a grey. Anything that is bright in color is probably NOT properly seasoned. Split Ends - the drier wood gets the most it tends to crack and split at the ends. Cracks on the curved end leading towards the center of the log are a good indication of curing. Bark - dried wood will have bark that is cracked or will at least peel away easily. 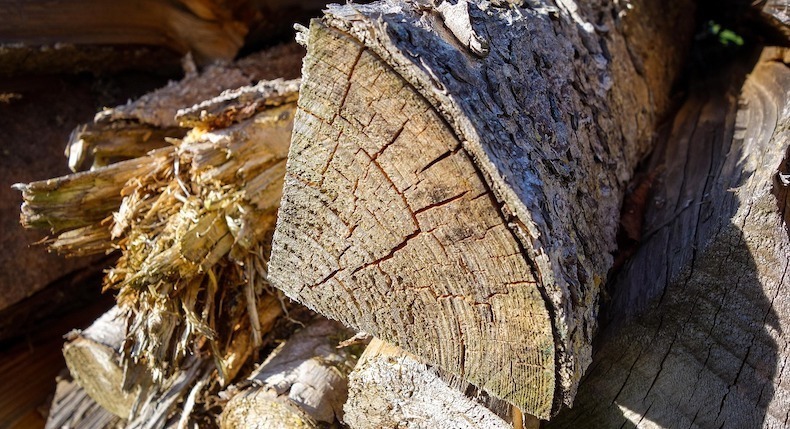 If you pull back the bark and the wood beneath is green, you can be sure the log is not properly dried. ​Weight - wood containing higher moisture levels will be heavier than dried. Pick up a few logs to test the weight. You can even bang them together. They should produce a dry, hollow sound rather than a dull thud if the wood is still wet. Store your wood in a location that allows it to remain dry during the winter. If you don't have a building in which to store it make sure to cover it with a tightly secured tarp.